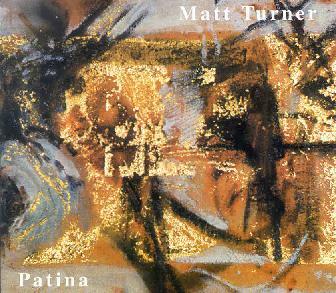 Matt Tuner follows up his Crushed Smoke CD with more of his solo cello improvisations. Performing on a Yamaha SVC-100 Silent Cello, Turner uses his various techniques to interesting effect. The frenzied scratch-fest on the opening track, "Scraps", reminds me of much of what Fred Frith has done with his guitar. Though the sounds are harsh, each is crystal clear and distinct, making each note and phrase an integral part of the whole. "Zkronque" is a highlight track which includes such a diversity of manipulations and treatments as to sound like instrumentation beyond the cello. "Grain" is a short but interesting track that really does sound like grain being poured from a sack. "Shro" is similar and could have been titled "Grain II". Interesting treatments can be heard on tracks such as "Mx c2L" and "Sus", which could almost pass for purely electronic music. "Sus" is one of my favorites, including very intriguing experimental space ambient elements. In fact, I've played some of Matt's music on my experimental/improv radio show but this one would be a snug fit on my space rock show! Actually there are several tracks that have a spacey atmospheric vibe, and this is a large part of what Patina is about. Turner does an outstanding job of using his instrument to create soundscapes and textures as much as he does manipulations of the recognizable aspects of the cello. So we end up with a captivating blend of chamber music and exploratory soundscapes that include both drifting melodic pieces and pure sound creation. Recommended to free-improv fans and the sound-art crowd will find much to enjoy here too. For more information you can email Matt Turner at: TurnMatt@aol.com.